There are many costs associated with the purchase, or re-finance, of a property. These are known as closing costs and closing costs includes such things like an application, loan origination, appraisal, home inspection, credit report, title insurance, attorney costs, appraisal, and survey. These costs must be paid before the transaction is complete, and they are often paid at the closing table. Typical closing costs will vary, and the biggest variable is the property price. However, closing costs are typically between 3% to 6% of the property’s price. Compare Offers. When doing a home purchase, or re-finance, the natural tendency is to shop for the best possible mortgage rate. But don’t stop there. Shop all third party vendors. In an effort to save money in closing costs, make sure you get competing offers from companies that offer services like home inspections and surveys. Indeed, feel free to contact our office today to learn about our title fee structure to see if we could save you money on title insurance during your real estate transaction. Look Out for Low Ball Offers (if it is too good to be true, it likely is). When comparing closing cost estimates, be suspicious of figures that seem especially low. Recycle Lenders and Title Insurance. Using the same title insurance or lender that performed your initial transaction could save you significant sums of money in your transaction. Ask Questions. If something looks questionable then you should ask about it. If you don’t understand why you are being charged a certain fee, ask why that fee is being charged. A simple question inquiring as to why a certain line item cost is on your closing statement could save you some money. Negotiate with the Seller. Again, mortgage rates should not be the only point you attempt to negotiate with your lender. 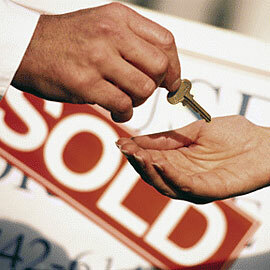 The payment of any and all closing costs should also be an important negotiation with your lender. Time the Closing Well. If you close at the end of the month, you can avoid prepaid interest charges. Whether substantial, or nominal, your closing costs can be reduced by simply planning ahead and scheduling your closing towards the end of the month. Indeed, when reviewing your good faith estimate, and pre-HUD, pay particular attention to line 901. Line 901 contains the first month’s interest that you pay in advance. A lot of originators will account for only a few days of interest – so if you close at the start of the month that figure could increase dramatically. Walk Away. It is important to review all the closing costs documents prior to closing. At the closing table, if you notice that the fees have changed then you should inquire why they changed. If the change in fees can’t be justified, then you should be prepared to walk away from the transaction. Previous Previous post: What to do with that lis pendens?